Spinoff discussion relating to my Top Brushes Series – Why pay more for brushes? The closest MAC 217 dupe that Hakuhodo manufactures, I recommend the J5523 if you’re new to the brand because the shape feels very familiar and there is very little learning curve. J5523 review and comparison to the MAC 217 can be found here. Available from the Hakuhodo website and makeup conventions like IMATS. Slightly less dense than the J5523, the J142 is a rounded crease brush (i.e: round ferrule). One of my most versatile crease brushes, you can find the review here. Again, Hakuhodo J142 can be purchased from the Hakuhodo website and IMATS makeup conventions. Defined, deep sockets are my obsession right now and unfortunately, I don’t have possess them naturally. The J146 is my solution; it’s the ideal slim crease brush to ‘fake’ a deeper socket. Highly recommend it for puffy or heavy eyelids, my original review can be found here. Like the J5523 and the J142 above, the J146 is comprised of goat hair (which is far superior to the goat hair sourced by MAC, in my opinion). Can be found here on the Hakuhodo website and again, select Hakuhodo brushes can be purchased at IMATS. Kinda similar to the J146 but a bit smaller and a little less flexible; I use the two interchangeably when creating defined sockets. I purchased the entire Wayne Goss The Collection set and I will review them soon (bla bla, she always says that) but a quick preview: I expected to have dupes within my stash but I have no close substitutes, the brushes are rather unique (again, no affiliation and purchased by me). The #5 is made with blue squirrel fibres. Wayne Goss brushes were previously available on Love Makeup Co Uk but they seem to have disappeared. 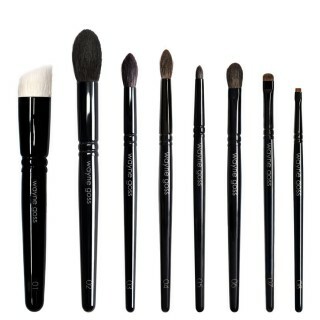 Beautylish stocks Wayne Goss Brushes (and they do ship worldwide!). A largeish, tapered crease brush; those with smaller eyes might find this a tad large. A mix of blue squirrel and goat – the goat provides a bit of bounce and resistance while the blue squirrel offers a more flexible, fluffy feel (am I making sense?). The result is a fluffy (but not floppy) crease brush that allows for very gradual building of colour and for this reason, I adore it for bright eyeshadow looks as it allows for better control of bolder shades. Read my original review here. Again, G5522 can be purchased on the Hakuhodo website. 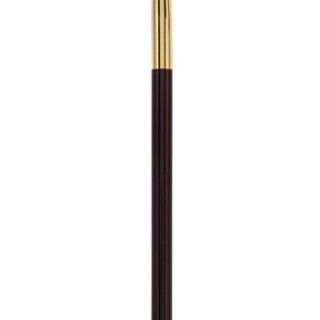 A large, fluffy eye brush with a pinched ferrule. Made with grey squirrel, the Eyeshadow L is the softest eye brush I own; I highly recommend SUQQU eye brushes if you have an unusually delicate eye area. It’s not ideal for precise crease work but lovely as a ‘finishing’ brush, to make sure everything is well blended. I also adore it for precise contouring of the cheekbones and powdering the crevice of the nose. Most of the SUQQU line, including the brushes, can be purchased from Ichibankao. There is a significant markup but prices include international shipping. Alternatively, SUQQU can be purchased off Selfridges. Internationally shipping is flat rate of 25 pounds (ish?) but the raw prices are cheaper than Ichibankao. Essentially, it works out cheaper to buy off Selfridges if you’re haulin’ big but for one or two items, Ichibankao is the way to go. I’ve written an in depth review of this brush here. In a nutshell, a very dense crease brush comprised of goat hair; I find it to be resilient enough for buffing out cream eyeshadows, also wonderful for creating graphic eyeshadow placements. Not as delicate or as soft as the Hakuhodo brushes mentioned, in my humble opinion, but still tolerable on my sensitive eyes. Tom Ford stockists vary from country to country, Google is your friend. 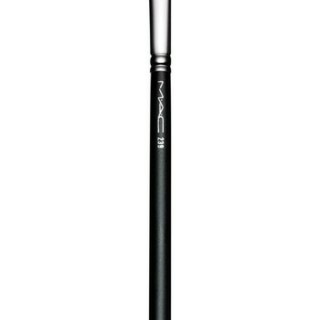 A slick, flat eyeshadow brush; slimmer than the MAC 239 while the fibres are slightly longer. Great for foiling eyeshadow (foil = eyeshadows used wet) for a reflective eye. Australians can purchase this brush from David Jones, there are no online stockists as far as I know. A small, dense domed brush. It’s grey squirrel so despite the density, it is very soft (duh, it’s SUQQU). Great for buffing out the edges of cream eyeshadow (yes, I use grey squirrel for cream eyeshadow because I’m a rebel like that) and also for defining the outer corners of the eye. For stockists, refer to SUQQU Eyeshadow L above. A flat, tapered brush with short bristles. Super soft, I rub this back and forth over the lower lash line with no irritation whatsoever. I can no longer find this brush online or in store (sad face!). I believe the NARS #45 is very similar but I don’t own it so I can’t say with certainty. Available here on the Hakuhodo site and possibly at IMATS, the stall doesn’t appear to stock the entire Hakuhodo range. Similar to the J521-D1 but the bristles are a touch longer and hence, exhibit a little more flexibility. Can be purchased on Beautylish individually or as part of The Collection set. Great video, Karima! I’m hoping to add some Hakuhodo eye brushes to my collection, especially the J5523—that looks like something I’d love. I have two MAC 217s, but I agree: they’re not the softest, and the J5523s are cheaper anyway. Goodness gracious, girl..You are even more gorgeous in motion! I usually sneak on your blog at work (no videos) so this is my first time seeing you “live”. Anyhow, great, great list! I use most of these as well. I also really like the Louise Young crease brushes (LY38, LY38A, LY38B). Also honorable mention to the hakuhodo S146 which is softer/less fluffy than the J146 and is great with really dark colors. I’ll check out the S146 also, thanks for your recommendations! For general blending, I’d probably recommend the G5522 over the SUQQU L, it has a little more precision (as it comes to a point). The J5522 is a slightly denser version that you may also like. I love all the brushes mentioned! Now that beautylish is stocking chikuhodo, I’ve tried their z series eye brushes and they are pretty great too. 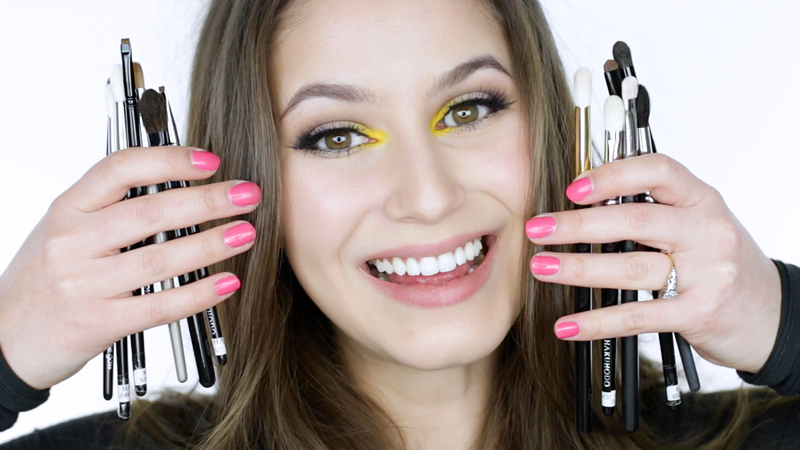 Also, I think you need to check out the newer goss brushes- they are fantastic! I like the Goss eye brushes so I think I’ll try out some of the newer ranges! The only Chikuhodo Z series eye brush I own is the Z10 and strangely, I’m not a huge fan. I just never reach for it, really! Hi Karima, Loved your little brush series. Informative and entertaining in one. Will you still be doing a tutorial on cleaning them? I have tried your suggestion to spot clean with a micro fibre cloth and OH MY WORD! It gets so much more colour out than wiping them on a tissue. Thanks for that. I have also invested in a brush tree to dry them upside down and its great, I really love it. Will definitely do a brush cleansing video once I return to Australia, I get a lot of questions on that topic. I use brush guards to dry my brushes upside down and I couldn’t live without them now! Definitely helps keep my brushes in shape. Oh, I forgot: I recently went mad and bought the Suqqu face brush. It is the big sister of the Cheek brush and it is unbelievable. 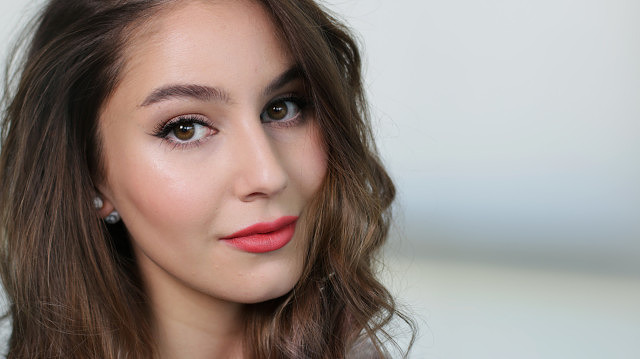 Powder and highlighter just apply flawlessly with no chalkiness and no danger of overdoing it ever. But pricey, verrrry pricey! Have you tried it? OMG Karima, so helpful! I love how I can count on you to do research for me 🙂 :-). The J146 seems to be *exactly* what I’ve been looking for. I have the Suqqu M but had no idea now to use it until today! (ok don’t tell anyone but I actually have 2 – so you’ve really helped me make use of my collection!) I tried using it for various shadow application but it didn’t seem to do any of them well. I can’t wait to try it blending edges of cream eyeshadows! I often use my Suqqu L exactly as you describe, but I also use it to blend out my cream eyeshadows – I think the M will be much better for me. My ABSOLUTE favorite for laying down color on the lid is the Shu Uemura Kolinsky 10. I wish I had five of these brushes – I love them sooo much. The SUQQU M is better at buffing out tricky cream shadows, better than the Eyeshadow L (in my opinion) because it is much, much denser. I’ve heard a lot of great things about the SUQQU Eye brushes but every time I touch them in store, I’m underwhelmed! Perhaps I need to play around with the Kolinsky 10, everyone seems to love it! The crease shade is a mix of RBR Chestnut Napped Apalis and Blackpepper Jay. The nails are OPI Suzi’s Hungary Again, forgot to add that to the blog post! So I tried out the Suqqu M for cream shadows and am completely sold. What a huge difference it makes. My eyeshadow looks positively professionally applied. I also just tried it this morning for buffing out By Terry Crayon Khol Terrybly colors as an eyeshadow – super happy with the results. I think you meant Shu Uemura rather than Suqqu in your response. 🙂 I’m not proud to admit that I went a little crazy a few years back and bought EVERY brush in the Shu collection. I’ve since forgotten about them all…none are amazeballs… except for the 10. Something about the way it picks up color and then releases it completely onto the skin very precisely and very EVENLY. If I apply with a Shu 10 and also a competitor, and then wipe both onto a paper towel, after 3 swipes the Shu is clean again… but the competitor (any brand, even Suqqu Flat) never really gets clean except by getting washed. The implications are greater than just cleaning – all that stuff stuck in your brush is not getting on your lid except by multiple passes. And the more I fiddle with application the worse it looks. Anyway, I’m having a hard time explaining why the 10 is so amazing 🙂 but I will never ever be without it. Also good for laying down cream shadows (crazy I know!). Thanks for the 411 on the crease color – super gorgeous!! Loved the video – – As usual! You are so adept at explaining the reasons those brushes are your favorites. I agree with all except the Goss 5; it is simply too thin and leaves a harsh line in my crease that is hard to blend out. Perhaps I just need more practice. A suggestion for the Suqqu L – I also use the LM Brightening Powder under my eyes and this is the most perfect brush for adding just the right amount. So incredibly soft and gentle, I no longer use any other brush for that powder. Hope you are enjoying EU. After I film a video I always ask myself – Did that even make sense? So I’m glad you found the explanations to be coherent LOL. The Goss #5 can leave a line depending on what you shading ON TOP of. If you’re working with a sticky base or a heavy hand, I find it can leave a line. 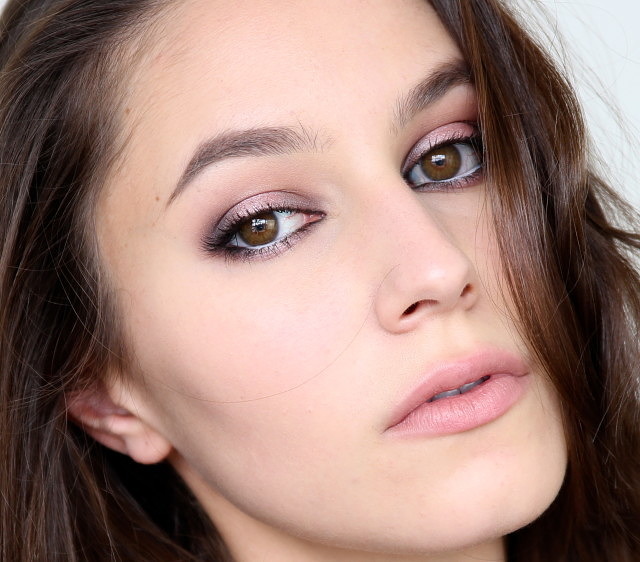 If you’re working on top of already blended eyeshadow, it tends to work better. Because it’s useless for most other applications 😉 Perfect for under eye setting though! Funny you say that. One of the reasons why I like Karima’s blog and videos is because she IS so relaxed. Very “professional” in how she approaches things, yet still so relaxed. Clearly not everyone needs to think the same, and thankfully there is a Wide World out there for everyone to watch what they like. And not watch what they don’t like. Pretty simple. You might want to *really* work on your way to present comments or criticism though. It doesn’t talk you up. I’m about to make a purchase at Hakuhodo and need your help in finalizing a decision. Your rave about J142 makes that a sure buy but I’m undecided between the J146 or Goss #5. I also have puffy kids and would like something for creating a deeper crease. If you had to choose one between the J146 and Goss #5, which would you buy? Also, I thought you weren’t particular to dark hair for eyelid brushes because they don’t pick up as much product? Thanks for your help! The dark hair used for the Goss Brushes is blue squirrel but unlike any other squirrel I’ve tried – it seems to have a lot of bounce and resistance. It’s very confusing and I don’t know what to make of it lol. Honestly, I like both but I think the J146 is perhaps a little more versatile and easier to use. If you decide you like that shape, then you can branch out to the Goss version. Oh Karima, Venice…So envious. My DH is a workaholic and getting him to take time off is like pulling teeth. Here’s to vicarious living…Hoping you will share many photos of that beautiful place! Hi Karima! Thanks for such an informative post! 🙂 I got the J142 and J5523 and absolutely love them. I also recently purchased the Wayne Goss 13 (it’s a face brush, but well) and I would like to know what you think about it! I was looking for a brush that can multitask with my powder and even cream products and thought I might give this one a try. I actually haven’t tried the Wayne Goss 13 (or any of that series). I own the Collection Set and for the most part, I really like it! I looooooove your eye make-up in this video! What eyeshadow/s did you use? Rouge Bunny Rouge Chestnut Napped Apalis + Blackpepper Jay in the crease. The yellow eyeshadow is Sugarpill Buttercupcake. Sorry about the late response, I only just saw this comment. Between the two, maybe the WG 8 would be better suited to that purpose as it has a little more give and flexibility. They are very similar though. Hi Karima, just wanted to know whether you use a particular brush for undereye concealer and powder to set the concealer? Apologies if you’ve addressed this before but I haven’t been able to find it. Thanks very much! For undereye concealer, I tend to use any flat concealer brush around, not terribly picky. Same goes for setting the under eye, although I am partial to the Hakuhodo G5533 for precise powdering around the eyes. Hi Karima! Just placed my first Hakuhodo order after falling in love with good eye brushes from Wayne Goss. I realized how scratchy and unkind my other brushes were to my sensitive eyes and I was so afraid that my other brushes were pulling at the delicate skin on my lids and making wrinkles over time. Anyway, I ordered the Hakuhodo BJ004G, J142, J5522 and J5523 thanks to your review! I know that you like the MAC 239 but reviews I have read say it’s scratchy. Have you ever tried the Hakuhodo BJ004G? Apparently, it’s a dead-on dupe for the 239 and if the 239 ever irritates your eyes, maybe the BJ004G would work for you. I have also heard the Chik GSN9 is very good for lay down color too but not good for cream products b/c it’s blue squirrel. 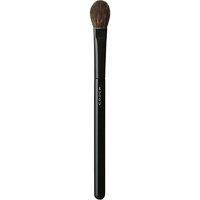 Also, if you love the Wayne Goss 4, I think you would love the WG 19…beautiful SOFT blending brush but more rounded (one can never have too many blending brushes IMHO!). I also picked up the WG 3, WG 8, Chik Z10 and I am thinking of the WG 17 just because I have large lids and this would be great for all over color. And I do own the WG 5 and WG 6 and they are really just lovely lovely brushes. I am so impressed with his range. I think you would love the WG 6…it’s phenomenal for a light wash of color, blending, easily creating a shadow cat eye effect and blending the under eye area. Anyway, thank you for the lovely video! I am addicted to nice brushes now and you just gave me the push over the edge I needed! Ha! I don’t *think* I own the BJ004G (isn’t that terrible, I don’t even know) but I own a few packing brushes from Hakuhodo and I still find that the MAC 239 deposits product better. I don’t mind if flat eyeshadow brushes are on the stiffer side, since I’m using a patting motion and blending with softer brushes. I’ll check out the WG brushes again 🙂 I own the original set and liked them a lot. Hi Karima, as a fellow Australian I love your blog! Such great advice and on my wave length haha. I need to replace all of my eye brushes which I now find way too scratchy on my delicate lids (MAC, Napoleon, Chanel, etc). Hope this isn’t a crazy question but how would you compare Suqqu “eye” brushes only to Wayne Goss? Suqqu really only have 3 eye brushes (L, M, F). I don’t need liner or brow brushes. So I was thinking of picking these up and then getting the Wayne Goss brushes 3, 4, 5, 6. Do you think I would be disappointed with the softness of the Goss brushes after Suqqu? I would prefer to stick to squirrel fibres for the eyes and avoid goat hair because I just find them too harsh. I mainly do very simple eye looks and in rare the event I need something more precise I can lean on my old brushes. What do you think? SUQQU’s eye range is very limited, I love the soft fibre but personally I need more shapes in my collection. I have brushes from the Wayne Goss The Collection Set and the eye brushes are very soft – perhaps not as soft as SUQQU but definitely in the same league. The Wayne Goss collection offers more diversity in shapes and in general they tend to be denser than the SUQQU, so offer greater payoff of colour. To answer your question, if the SUQQU L, M, F shapes satisfy your needs then great! Otherwise, the Wayne Goss offers some great quality options. What are you planning on using it for? I like it for eyeliner work but it’s a bit stiff (and TINY!) for the lower lash line. I plan on using it for powder eyeliner and tightling the bottom lashes to make them look thicker for when I don’t want to look like I’m wearing a very obvious line. Do you prefer it to the Wayne Goss equivalent? I use them interchangeably, not much different between the two (the WG might have a little more give). Thank you for such valuable information. My question: I will be using a creamy Loreal gel eye pencil (my fave) for your cat eye wing eyeliner look and am undecided on which brush would be best for the precise wing- Wayne Goss #8 or Hakuhodo 521-D1? I use the two brushes interchangeably, you could go with either!